As a European happily living and working in London, the EU Referendum debate has been rife with controversies, grotesque lies to the public and a stirring up of hate filled sentiments that have already claimed the life of one member of UK parliament fulfilling her democratic responsibility to constituents. Jo Cox stressed in her Yorkshire Post article, days before her death, not to fall for the spin present in the campaigns. 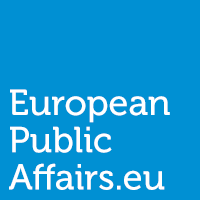 Like many practitioners writing at European Public Affairs, I am thoroughly acquainted with the art of spin in politics, but the current campaigns for UK’s EU referendum have taken it too far, with the number of retracted media pieces skyrocketing – though the damage is done for members of the public who have seen the initial incorrect articles, with their decisions influenced, and choices unsubstantiated by fact. As mentioned in Jonathan Powell’s book The New Machiavelli, between the Murdoch media empire’s negative views on Europe and the ‘miniscule group of British Pro-European newspapers’ being focused on criticism about the government not being European enough, there is “simply no public space in which to have a sensible dialogue with the British people on the subject [of Europe]”. This is something that must be considered and fostered in the UK beyond the referendum, no matter which way it goes, as undeniably the lack of adequate information and informed discussions on the UK’s neighbours, could be its downfall. I ponder, as has the likes of David Mitchell, why this was put to a public referendum given the low level of average knowledge that a member of the UK public has about the EU and the stated role that elected politicians should play in guiding the public to well founded, progressive decisions for the UK’s future. Regardless, it is now a decision for UK citizens, and while I – as a European being constantly told that the ‘evil immigrant’ line ‘does not apply’ to me – will be impacted by every vote, I must stand by and hope, like Jo Cox hoped, that citizens will look to sources of fact to make their decision. Not waffling political personalities, not those saying shocking never before heard statements and not those questioning the ‘Britishness’ of those who may not look stereotypically British – but vote based on the facts, verified and true. The two key aspects being considered in the final push before tomorrow’s referendum are the economic business conditions, as well as migration. UK businesses should be concerned about business uncertainty, less trade and fewer jobs, as emphasised in a letter issued by 1285 business leaders. They are joined by the leaders of all global economic institutions and reputable think tanks, in addition to members of governments worldwide, who have warned about a major recession or depression that will likely result from a ‘Brexit’. Companies have already lost business deals during the lead up to the referendum, investors have pulled or stagnated UK activities and key UK industries such as Automotive have stressed the potential devastation of the UK cutting itself away from the EU, losing the over 50 trade deals we have through the EU plus access to the single market. Those concerned about UK migration should consider the difference between non-EU and EU migrants, with it verified that EU migrants are more likely to be in work that UK nationals and non EU citizens. Similarly, from 2001-2011 EU citizens have contributed 20 billion GBP to the public coffers, paying 64% more in taxes than they received in benefits. Not only must one consider the 2015 estimate of 2.88 million EU citizens residing in the UK but also the known 1.22 million British citizens that reside in other EU countries. While this does not include part time residents, a potential Brexit would limit not just EU access to the UK but also UK access to the EU. Those UK citizens residing abroad over 15 years are being denied a vote in the EU Referendum despite their legal status being dependent on the outcome, whilst ironically such UK citizens are often included in the yearly ‘EU migrant influx’ counts used to inspire a leave vote. Yet as UK citizens they deserve to be considered by voters tomorrow. Frequently discussed as a ‘Brexit’ cure to migration woes is the Australian model. While frequently promoted as a solution to lower migration numbers this will not work – as both the Canadian and Australian systems were created to grow the overall population and human capital. Looking specifically at Australia, the system has fostered twice the number of migrants per native born while having a trackable downforce on the cost of labour (reducing wages). Ironic to those of us in the EU sphere, part of UK disgruntlement with the EU is due to having elected to European Parliament many representatives (UKIP etc.) who make a point of not participating. Currently the UK does not engage fully and therefore does not receive all benefits for which the UK would be eligible. Continuing over the past years to elect those unwilling to engage with EU colleagues has meant that opportunities for UK benefit from membership were not fully seized, bringing those in the UK over time to doubt the benefits of membership, leading to the EU Referendum taking place tomorrow. I hope for the future of a productive and globally competitive UK, that all eligible voters take part in tomorrow’s Referendum on the EU, and I hope with every fibre of my being that such voters take the time to consider verifiable facts before casting a vote. As so many have pleaded with voters, look beyond the spin, the propaganda, as well as the lies to discover the facts before going out to make a vote that will impact your children, and your children’s children. Please look to verifiable facts prior to casting your vote, and utilise those facts to determine whether or not you believe the UK should remain a part of the European Union. Full Fact is an independent fact checking charity, which looks at what is being said by all sides to determine truth. The UK in a Changing Europe, run by the Economic and Social Research Council (ESRC) as well as King’s College London, which strives to provide independent, impartial, non-partisan EU-specific advice. InFacts, while it is partial it is a journalistic enterprise (run by former editors & staffers from Financial Times, BBC, The Guardian, The Sun, Reuters & The Observer) to cut through spin in order to see the fact-based case for UK to remain. It is partial but all numbers provided are verified. Powell, Jonathan. The New Machiavelli, page 206. The Society of Motor Manufacturers and Traders (SMMT), 20 June 2016, Remaining in Europe critical to future of UK automotive industry. 78% of working age EU citizens within UK are in work, as compared to 74% of UK nationals of working age, and 62% of those from outside the EU that are working age. University College London, 5 November 2014, Positive economic impact of UK immigration from the European Union: new evidence. House of Commons. Briefing Paper Number SN06077, 26 May 2016. Migration Statistics.